No idea ends up where it started. 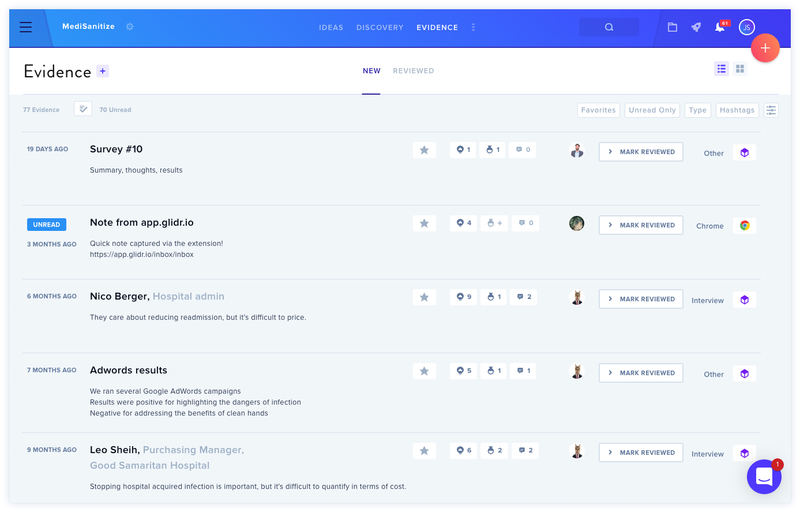 GLIDR puts feedback, discovery and validation at the center of the project. GLIDR gives users the tools to test Ideas through Research & Experiments, and connect validated Evidence, while giving you a real-time overview of progress. 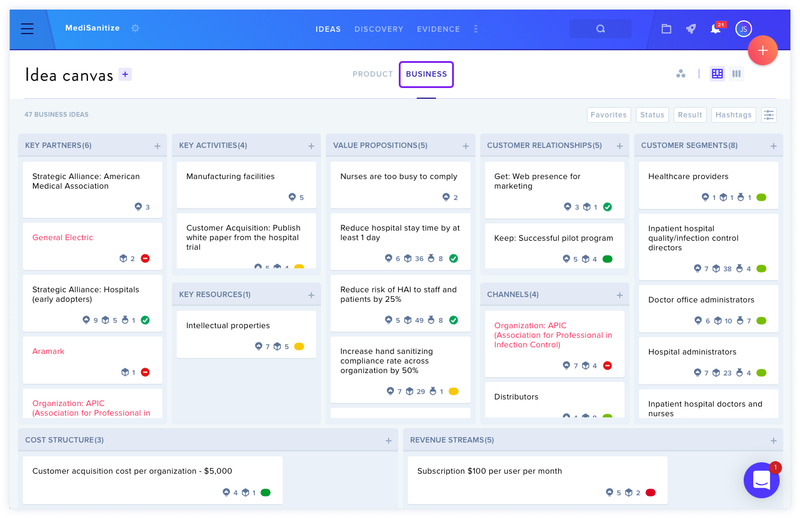 GLIDR offers a Business Canvas and Product Canvas, allowing users to distinguish the ideas that are directly related to the market vs. related to the product. It's likely that most of the work will be done in the Business Canvas, but as the class progresses and business models become more developed, students may wish to start adding Ideas in the Product Canvas. Students will be gathering evidence that will ultimately help validate or invalidate their Ideas. 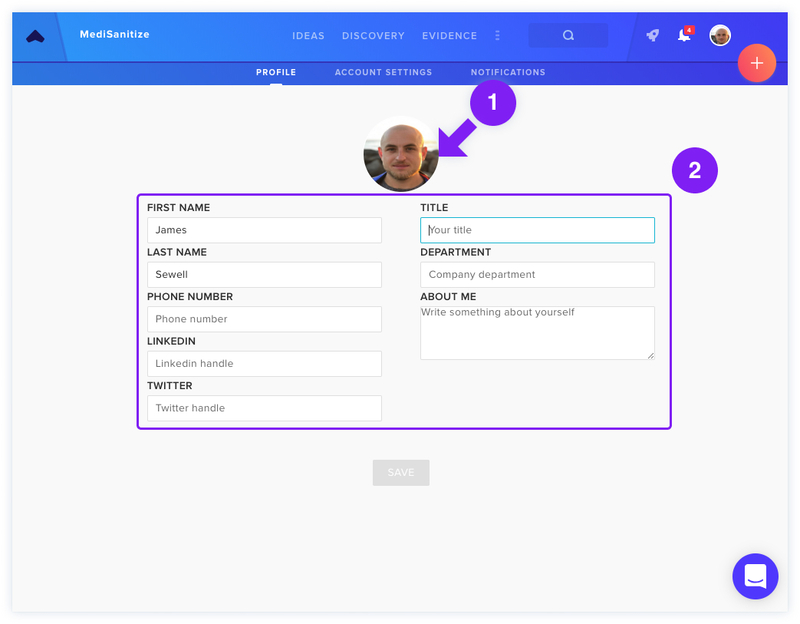 This can be in the form of customer discovery interviews, A/B tests, smoke tests or one of various other tests. Once Evidence has been added, it can be connected to Ideas, or vice-versa. Clicking on the Connections tab will show you any existing connections between Evidence and Ideas. Ultimately, the aim is that by rating Evidence, it will start to give an indication as to how Ideas are performing, allowing teams to ultimately validate or invalidate their Ideas, which may subsequently lead to pivots. As a mentor, it's likely that you'll have feedback on all aspects of your team's Project; from evaluating Evidence to providing insight into the viability of Ideas. The Activity Feed is where you'll see these as they come in. To reach the Activity Feed, click on the three dots at the top of your screen and select Activity Feed. Navigating to Profile & Account Settings under your profile icon will take you a page allowing you to change your profile information. Clicking your profile photo will allow you to add a new photo or remove the existing one. Add more information about yourself here. This information is visible to your teammates. You're well on your way to success with GLIDR! We wish you the best of luck. Feel free to explore our Help Center for further information, or reach out to us directly by clicking the chat icon in the lower right-hand corner of your screen.